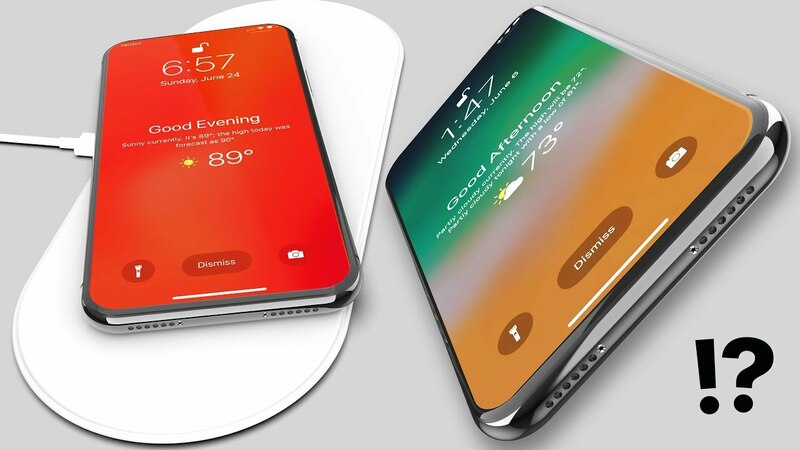 According to leak reports and analyst reports, Apple will introduce three new iPhones, two new iPads and an entry-level laptop Mac next month. It is also expected that the AirPower charging pad, which is expected to be long-lasting, will be put on the market with this activity. According to industry sources, Apple's wireless charging mood AirPower has a price tag of $ 149 to $ 199, but Apple's product is likely to sell at a price tag of $ 199. According to Digitimes, Intel's 14 nm Kaby Lake processors will be used in the new entry-level laptop Mac. The affordable new Mac model is expected to be sold with a price tag of $ 1,200. Expectations on the iPhone side are to introduce a model with two OLED screens of 5.8 and 6.5 inches, as well as a 6.1 inch LCD screen. The price is likely to play a big part in your decision whether or not to buy the 2018 iPhone. Perhaps due to reports of sluggish sales for the premium iPhone X, it has been reported that the 2018 iPhone X will retail for a slightly more affordable $899, while the new iPhone X SE will cost $799, and iPhone X Plus $999. Apple often keeps dollar and pound sterling pricing the same, so we might be looking at £899, £799, and $999 respectively. This makes sense to us as we have heard speculation that Apple has managed to shave off the cost of the iPhone X by 10 percent while it's been ramping up production. So you may be able to get new iPhone tech a little cheaper than last year this time around. Will Apple Showcase the New iPad Pro? Apple is also introducing two new iPad Pro models in sizes of 12.9 and 11 inches. The various sources say the 11-inch iPad Pro will be 10.5 times the size of the case because of the screen-to-body ratio. Both models expect faster charging support. There is no rumor on the iPad mini side. The new iPad mini will probably not be introduced. Although it is not clear at this time, the future of the two new iPad Pro models is definitely being watched. We will continue to share developments and events with the event to be held in September.